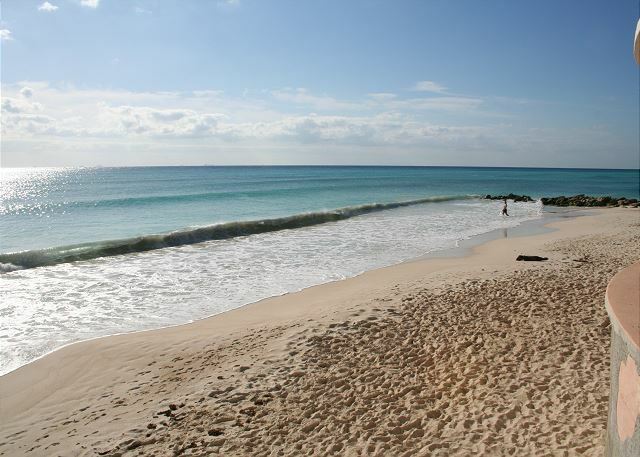 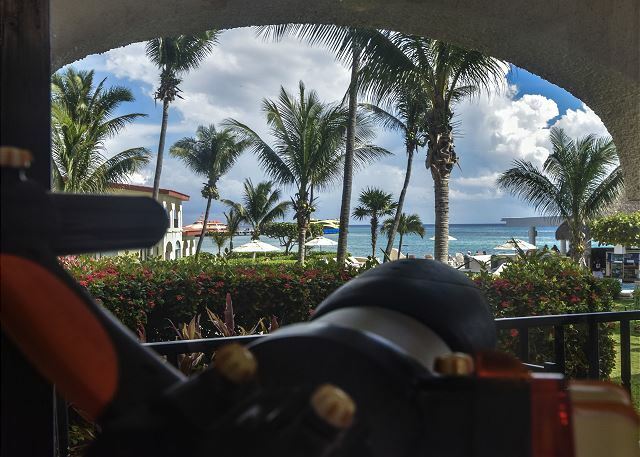 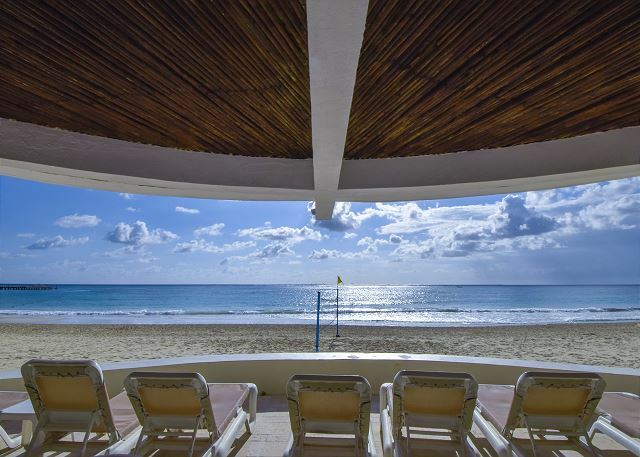 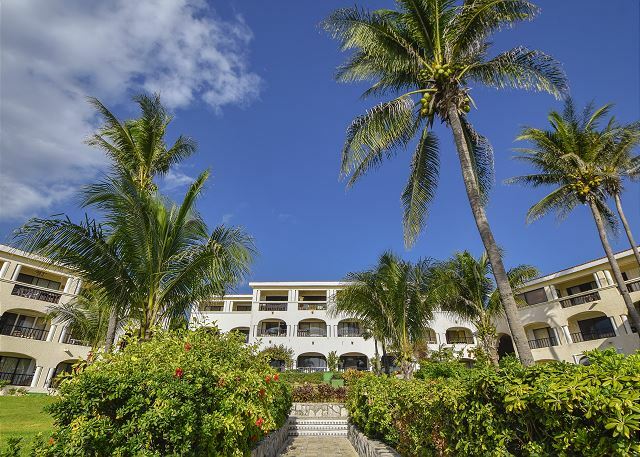 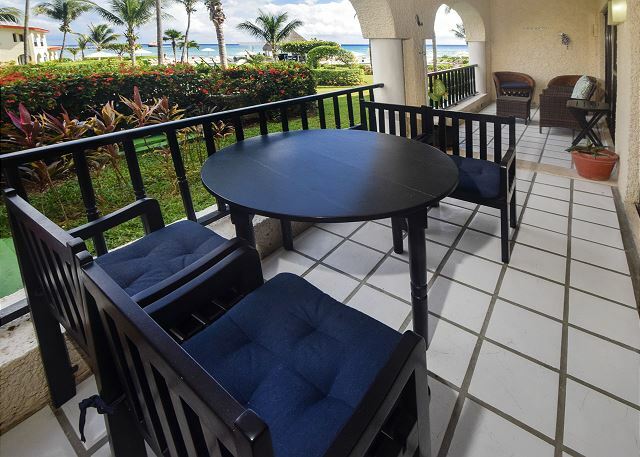 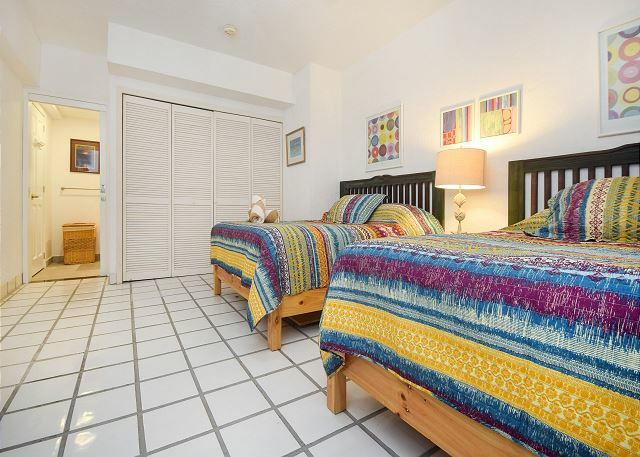 Situated on ground level, this condo has easy access to the beach, parking space, and walking paths through the beautiful gated community of Playacar. 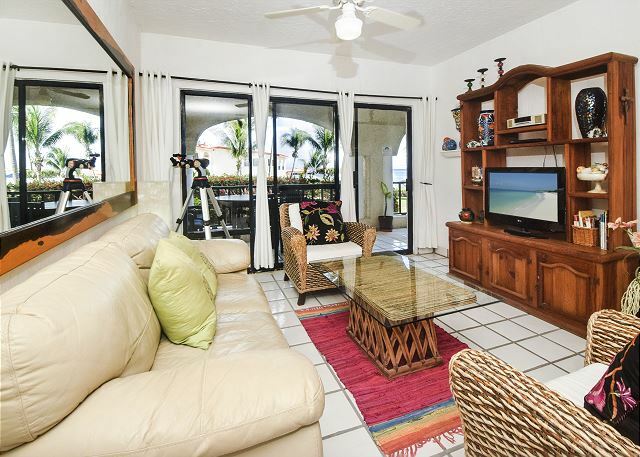 A screened front door lets the ocean breeze waft through the condo. 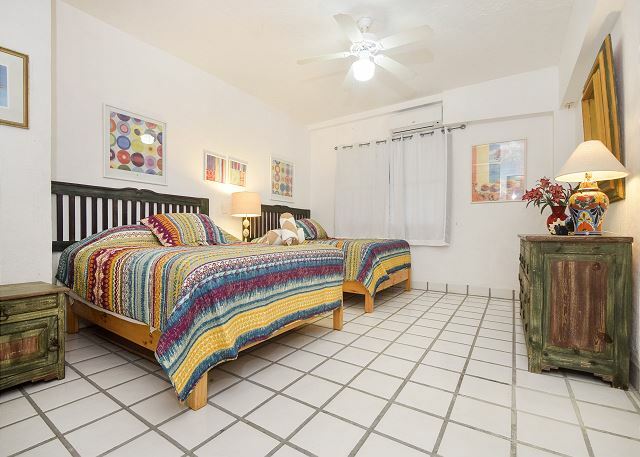 The kitchen is stocked with a beautiful collection of glassware and colorful pottery pieces. 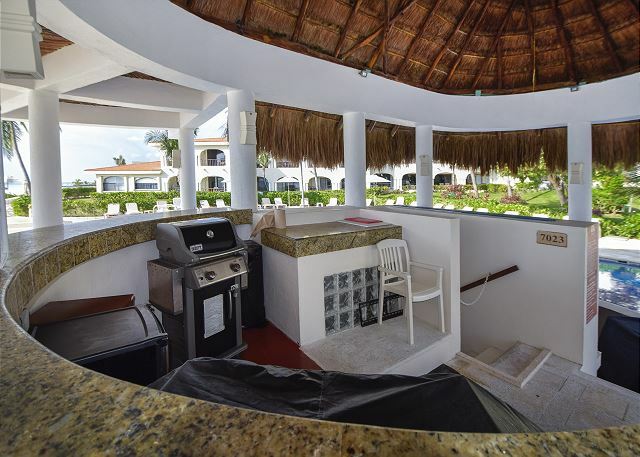 Enjoy cocktails or a chilled glass of wine on your private ocean-view terrace! 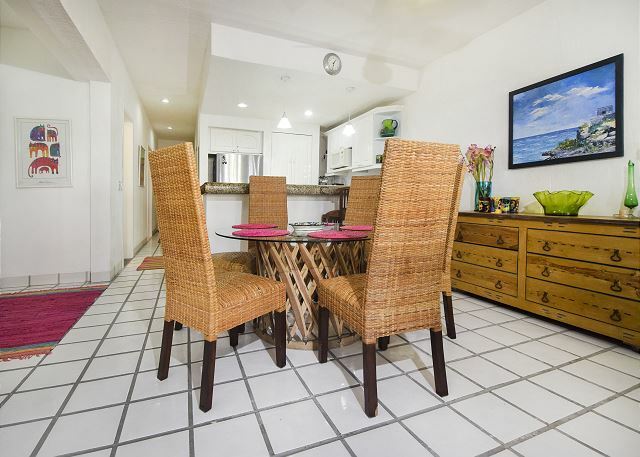 Kitchen includes a raised bar with 2 chairs for informal meals, plus a dining area with glass-top table that seats 6. 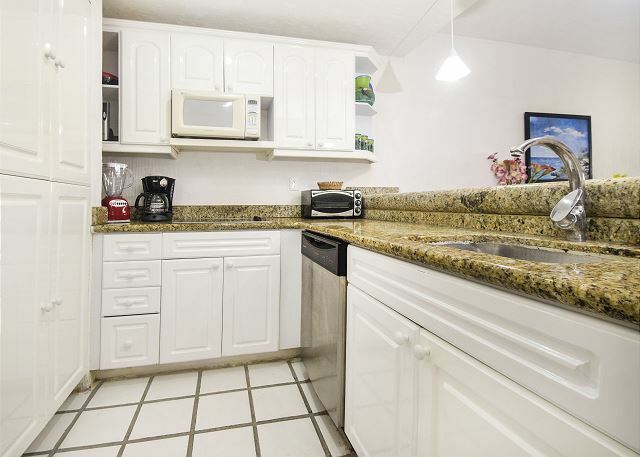 White cabinetry, stainless steel appliances and granite countertops provide a clean, bright look. 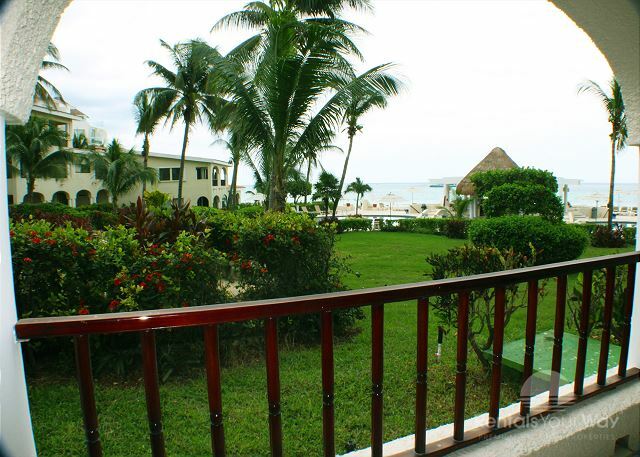 With great views of the lush grounds and the turquoise ocean beyond, the living room is comfy and homey. 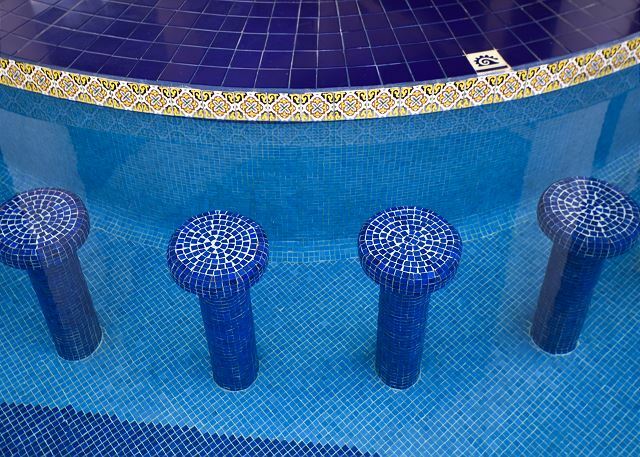 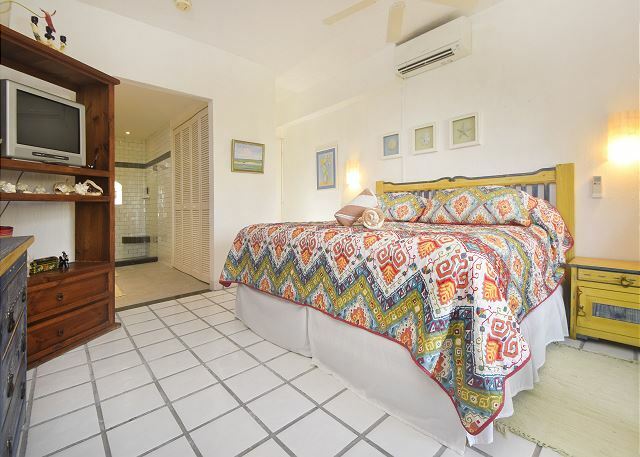 This vacation home can sleep 8 guests comfortably, with 3 bedrooms. 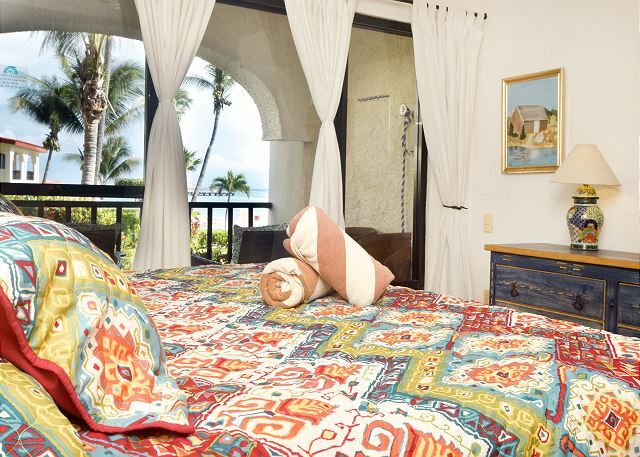 The master suite has terrace access so you can wake up and step out to enjoy the sun rising over the sea! 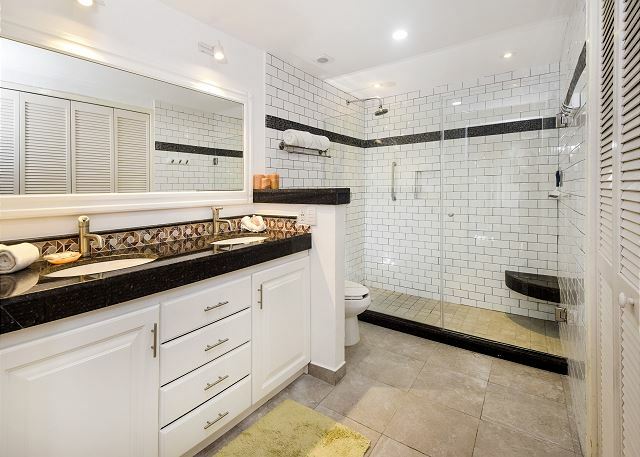 Both bathrooms have been recently renovated for a brighter, modern look. 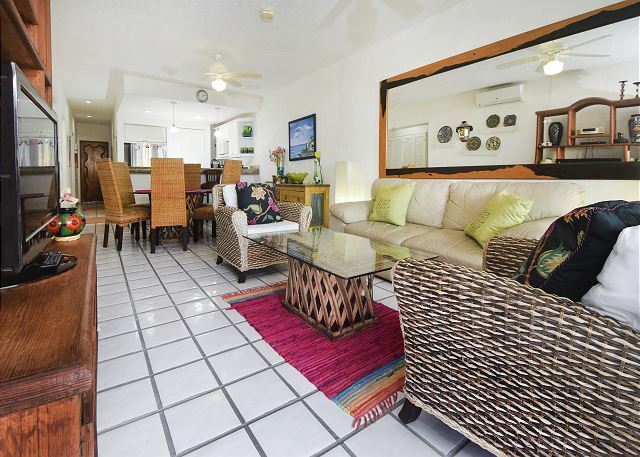 You'll love the location and amenities of this quiet condo complex. 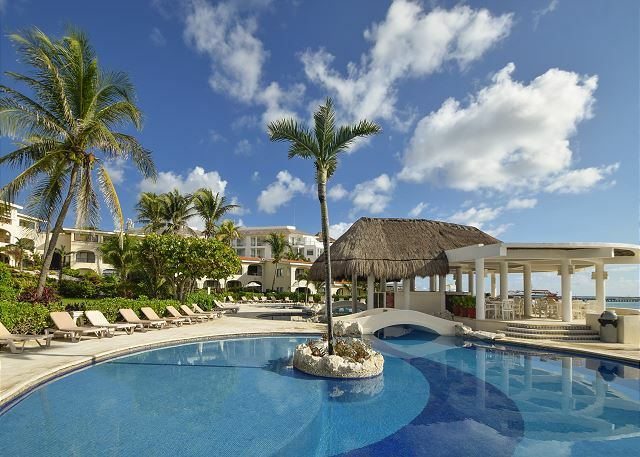 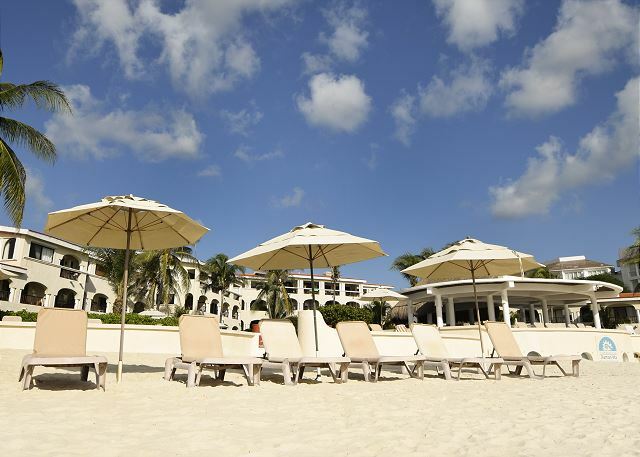 Enjoy a sugary soft, groomed beach and swimming pool with swim-up bar and grill area.